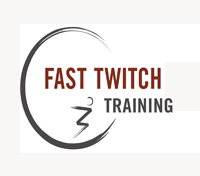 Start taking classes at Fast Twitch Training and other studios! Fast Twitch Training (FTT) has been serving the Spring House/Ambler area for over 7 years and continues to lead the way in customer service and cutting edge training for personal and small group training, sports training and boot camp classes. FTT has committed itself to delivering the best fitness training in this industry. They pride themselves in education and continued education in the training field so they can be the "go to" guys when you want things done correctly. This workout pushed my limits on the best way. Dan was both a great technical coach and motivator. I couldn’t recommend more! 60 mins of really pushing yourself. Great workout! Small class (only 3 of us) but so hard and so fun! Marissa is great. Super tough circuit/bootcamp type workout. SO SO SO SO SO SO BAD! I drove 50 minutes (in traffic) to attend class at this gym, only to be told by the ungracious manager that the class I signed up for was for kids only. It doesn't say that anywhere in the class description . He did not apologize, nor did he offer to just let me workout on my own for an hour. Such a bummer experience!